Home Tags Posts tagged with "cuban thaw"
Cuban business owners have appealed to Donald Trump not to reverse a recent thaw in bilateral relations. In a letter, more than one hundred business owners said additional measures to boost travel, trade and investment would benefit both nations. The president-elect, who takes office on January 20, has said he will end a deal under which ties were restored in 2015 unless Havana offers a “better deal”. Cuba hopes to sign 12 agreements with the United States before Donald Trump’s inauguration. On December 7, officials from both governments held talks in Havana to discuss how this could be achieved during President Barack Obama’s remaining weeks in office. Josefina Vidal said that a number of agreements had already been signed with Washington since 2015. 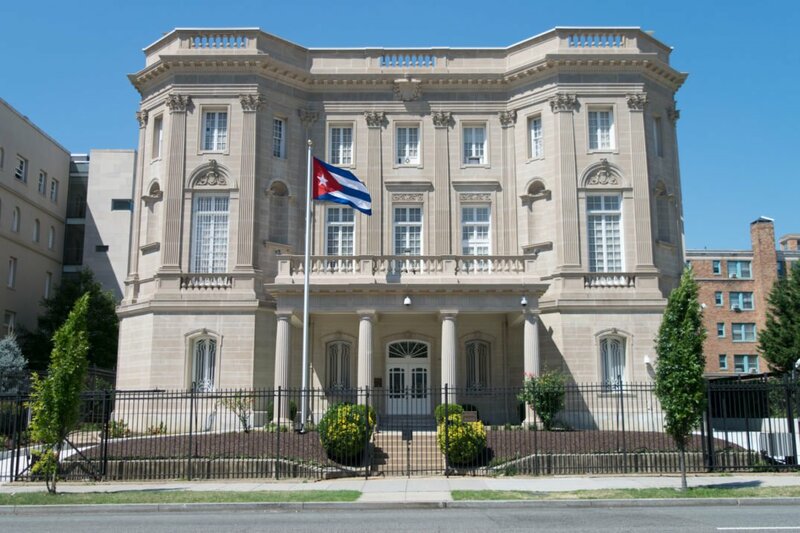 She also expressed hopes that the bilateral relations would continue improving but “within the respect of the existing differences and without having to make any kind of concession to the principles in which Cuba firmly believes”. Barack Obama has worked to improve relations with Cuba, culminating in his historic visit to Havana in March 2016. In November, Donald Trump threatened in a tweet to put an end to the detente following the death of Fidel Castro. 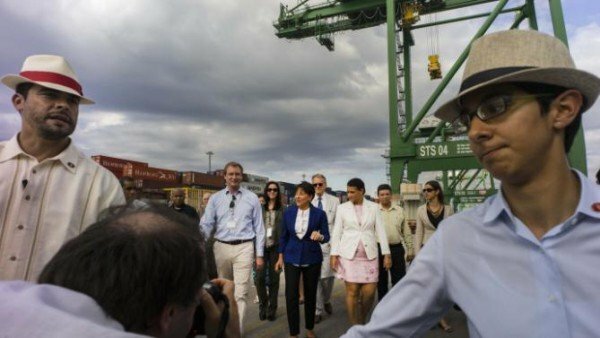 He said that if “Cuba is unwilling to make a better deal for the Cuban people, the Cuban/American people and the US as a whole, I will terminate deal”. Donald Trump’s camp accuses the Obama administration of giving too much away to Cuba without receiving enough in return. Under President Barack Obama, diplomatic ties were restored in July 2015 after being severed in 1961. 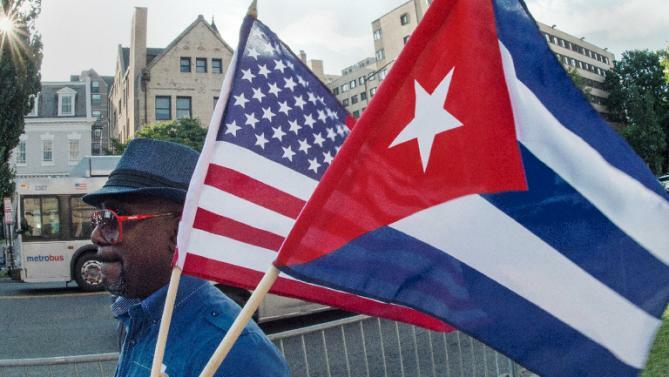 Some trade restrictions have been eased and the White House has been lobbying the US Congress to terminate the Cuban economic embargo that has been in place for decades. Jeffrey DeLaurentis has been appointed as the first US ambassador to Cuba in 55 years as relations between the countries thaw. According to President Barack Obama, it was a “step towards a more normal and productive relationship”. However, the president may face a battle in Congress where some Republicans are opposed to his dealings with Cuba. Jeffrey DeLaurentis had been working at the new US embassy in Havana, which opened in July 2015. Barack Obama said there was “no better-qualified public servant”. 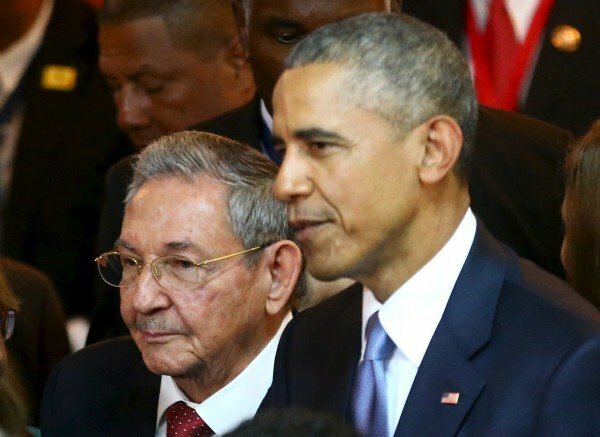 President Barack Obama and his Cuban counterpart, Raul Castro, have begun to reignite the diplomatic relations that were broken off in 1961 after Cuba’s communist revolution. 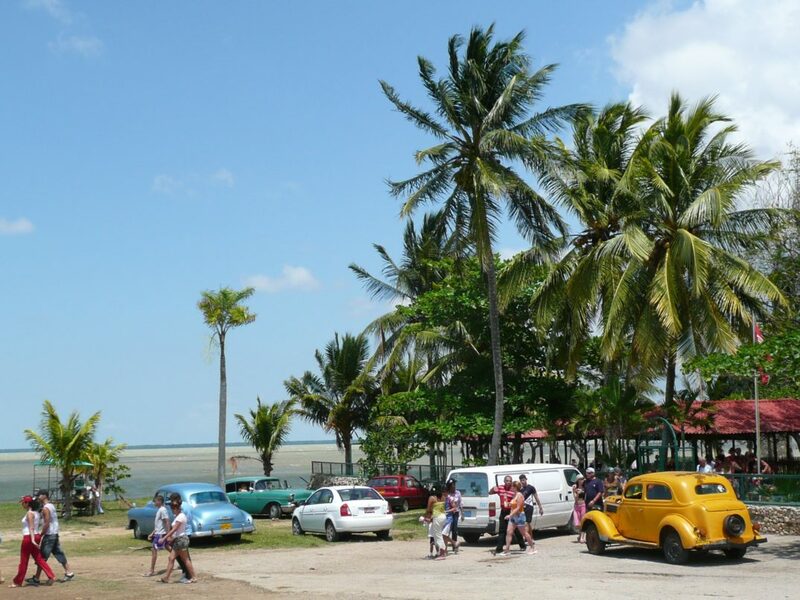 Restrictions on flights have been lifted but the US embargo on Cuba remains in place. 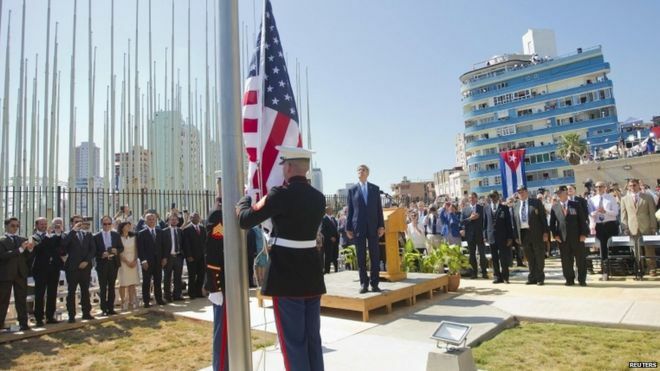 Republican Senator Marco Rubio, who is Cuban-American, has previously said the improved relations will go “a long way in providing the economic lift that the Castro regime needs to become permanent fixtures in Cuba for generations to come”. Barack Obama and Raul Castro met on the sidelines of the UN General Assembly (UNGA) on September 29. 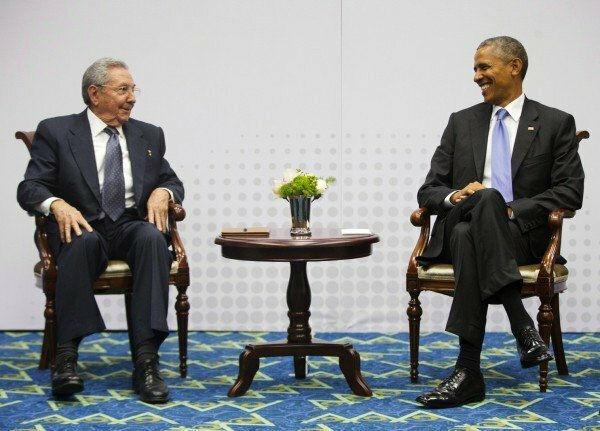 It was the second time Barack Obama and the Cuban president met in person this year after decades of estrangement between the two countries. They shook hands before beginning private talks. On September 28, Raul Castro called for an end to US economic sanctions on Cuba. 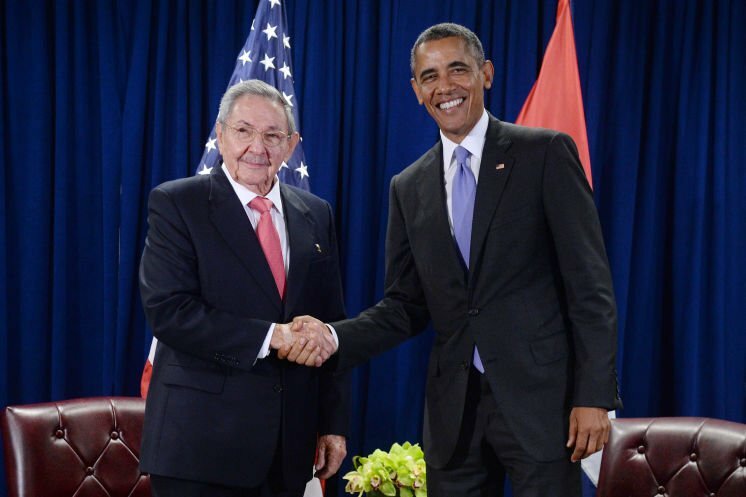 President Barack Obama had earlier expressed confidence that Congress would lift the embargo. Raul Castro told the UN that normal relations with the United States would only be possible if the US abolished its trade embargo. In his speech to the UN, President Barack Obama said he was confident Congress would “inevitably lift an embargo that should not be in place anymore”. On October 27 the UNGA is again scheduled to discuss a resolution condemning the embargo and calling for its abolition. It is the 24th time the UNGA will vote on the issue, which generally is only opposed by the United States and Israel. Speculation is already rife about how the US will vote this year after its own president dismissed the embargo as counterproductive and behind the times. The resolutions are unenforceable, but a US abstention on a resolution critical of US behavior would be unprecedented. The Republican-controlled US Congress has so far refused to lift the embargo. Cuban-American Senator and presidential candidate Marco Rubio warned that an abstention would be “putting international popularity ahead of the national security and foreign policy interests of the United States”. US officials said Raul Castro’s presence at the UN, the first time the Cuban leader spoke there, was a signal “that we’re in a new era”. In his speech, Raul Castro said the normalization of relations would be “a long and complex process”. President Raul Castro has called for the US to lift the trade embargo on Cuba in order to normalize the relations between the two countries. He told the UN that was also necessary for the US to return the military base at Cuba’s Guantanamo Bay and end anti-communist broadcasts to the island. President Barack Obama also called for the trade embargo to be lifted. He said that he was confident that the US Congress would do so soon. The two leaders are expected to meet on September 29 in New York. Speaking at the UN General Assembly on September 28, President Barack Obama said he thought the Republican-held Congress would inevitably lift “an embargo that should not be in place anymore” despite its reservations over the administration’s support for it. 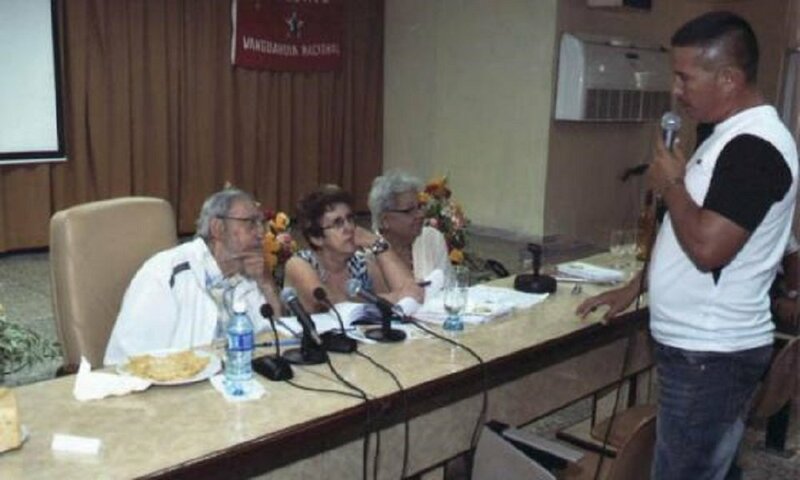 He said that while the Cuba policy of the US had “failed to improve the lives of the Cuban people”, human rights remained a concern in relations with Havana. Barack Obama was applauded by delegates in the 193-nation UN General Assembly. President Raul Castro for his part said that now that diplomatic ties were back in place, the overall normalization of relations “will only be achieved with the end of the economic, commercial and financial blockade against Cuba”. 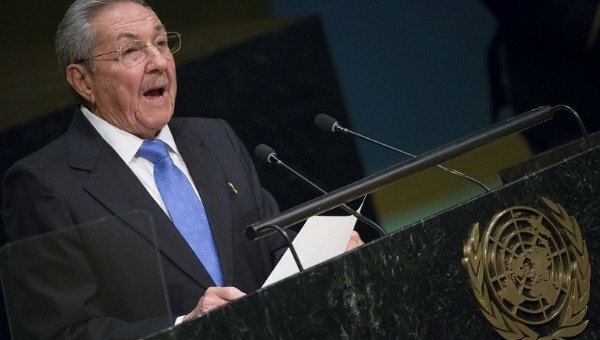 It was Raul Castro’s first address to the UN since succeeding his brother Fidel in 2006. Like Barack Obama, he received sustained applause. 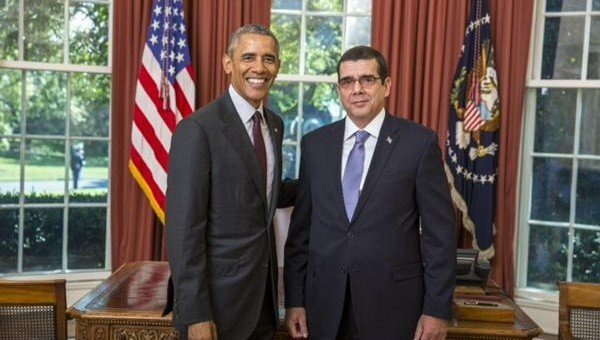 The White House announced on September 27 that President Barack Obama would hold talks with his Cuban counterpart on September 29 on the sidelines of the General Assembly. It will be their second meeting following on from their first historic get-together in Panama in April. The UN General Assembly is set to discuss a new draft resolution criticizing the US embargo at a meeting next month. The assembly has voted every year since 1982 in support of a resolution calling on the US to end the embargo. In his first speech after his arrival in Cuba, Pope Francis has called for the Church in the communist island to have “the freedom and the means” to pursue its mission. Pope Francis also hailed improving ties between the US and Cuba as “an example of reconciliation for the whole world”. The pontiff was greeted by Cuban President Raul Castro after landing in the capital, Havana. He is due to celebrate Mass on September 20 in Havana’s iconic Revolution Square. Pope Francis will spend four days in Cuba before flying to the US. 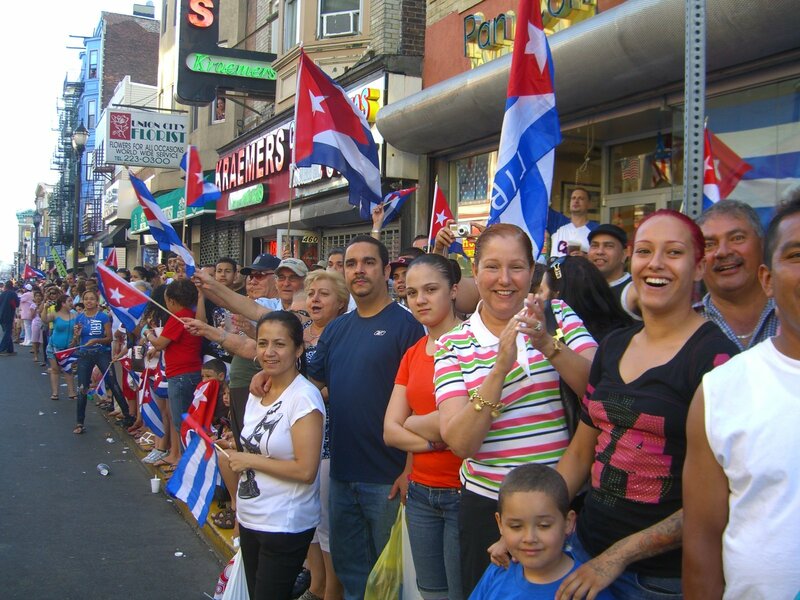 Following his arrival on Cuba on September 19, thousands lined the route of the Pope’s motorcade to the home of the Vatican’s ambassador to Cuba. Pope Francis – the first pontiff to hail from Latin America – is credited with helping the recent thaw in diplomatic relations between Cuba and the US. President Raul Castro has thanked Pope Francis for his contribution. Speaking at the airport alongside Raul Castro, Pope Francis urged further support for Cuba’s Catholics “so that the Church can continue to support and encourage the Cuban people in its hopes and concerns, with the freedom, the means and the space needed to bring the proclamation of the kingdom to the existential peripheries of society”. The Pope also called on Cuba and the US to “persevere on the path” of detente. On September 17, the Vatican said it hoped the Pope’s visit would help bring an end to the 53-year-old US embargo and lead to more freedom and human rights in Cuba. The following day, the US announced eased restrictions on business and travel with Cuba, the latest move by President Barack Obama to improve relations. Pope Francis’s trip will later take him to the US, which he will also be visiting for the first time since his election to the papacy. The US has decided to ease restrictions on business and travel with Cuba ahead of Pope Francis visit to the communist island. This is the latest move by President Barack Obama to improve relations with Cuba. The rules, which go into effect on September 21, relate to travel, telecom, internet-based services, business operations, banking and remittances. 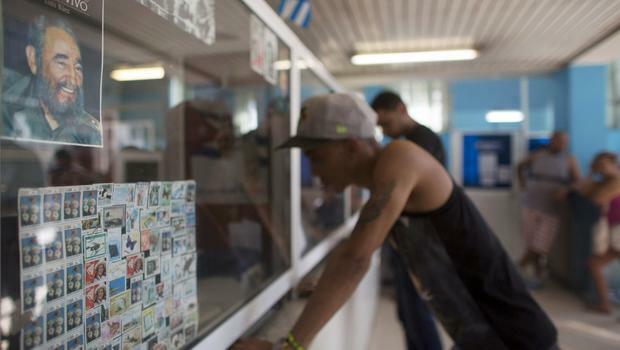 US businesses will now be allowed to open up locations in Cuba. Cuban President Raul Castro and President Barack Obama discussed the move in a phone conversation on September 18. 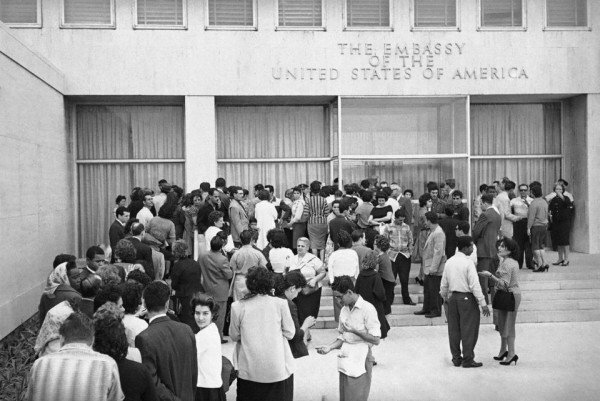 The changes come as the US and Cuba normalize relations after 53 years. “A stronger, more open US-Cuba relationship has the potential to create economic opportunities for both Americans and Cubans alike,” said US Treasury Secretary Jacob Lew in a statement. Authorized travelers will be permitted to open and maintain bank accounts in Cuba, senior administration officials said on September 18. Close relatives will now be allowed to accompany authorized travelers going to Cuba for educational, journalistic, humanitarian or religious activities or research. 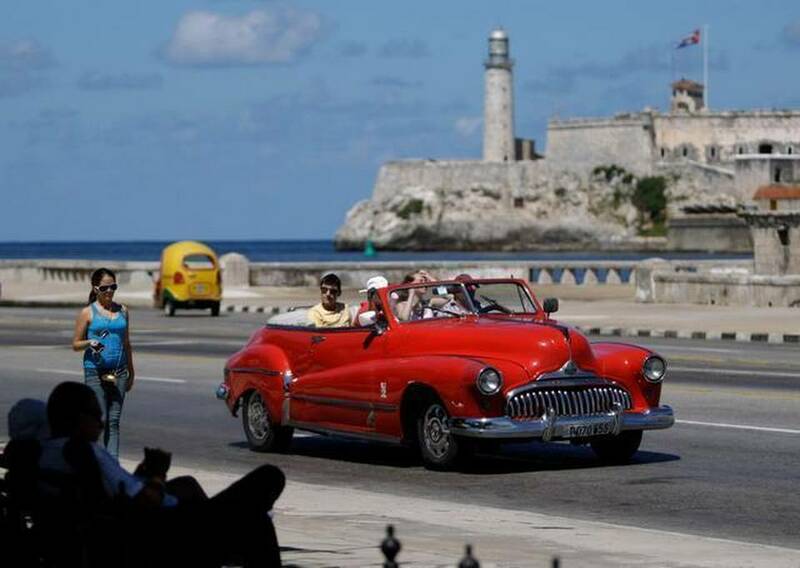 Officials said travel to Cuba for tourist activity is still prohibited by statute. 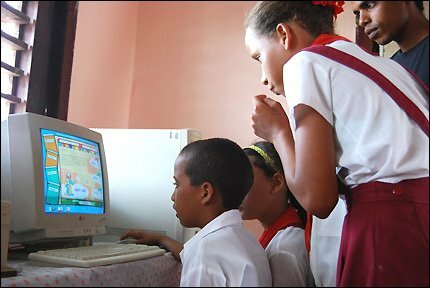 Companies will also be able to import Cuban mobile applications to the US and hire Cuban nationals to work on them. Barack Obama thinks the best way to strengthen the Cuban people is through contact, officials said. 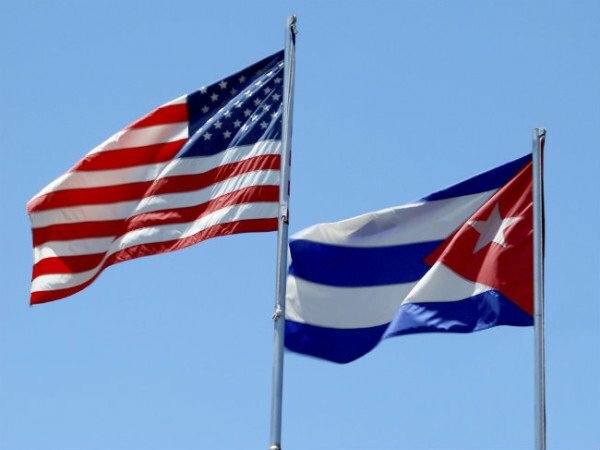 In July, Cuba and the United States formally re-established relations, and in January the Obama administration announced initial changes to the Cuba sanctions program. Ahead of Pope Francis’ visit to Cuba, and before Cuban President Raul Castro is set to address the United Nations, Cuba announced on September 18 the appointment of a US ambassador, the first since 1961. 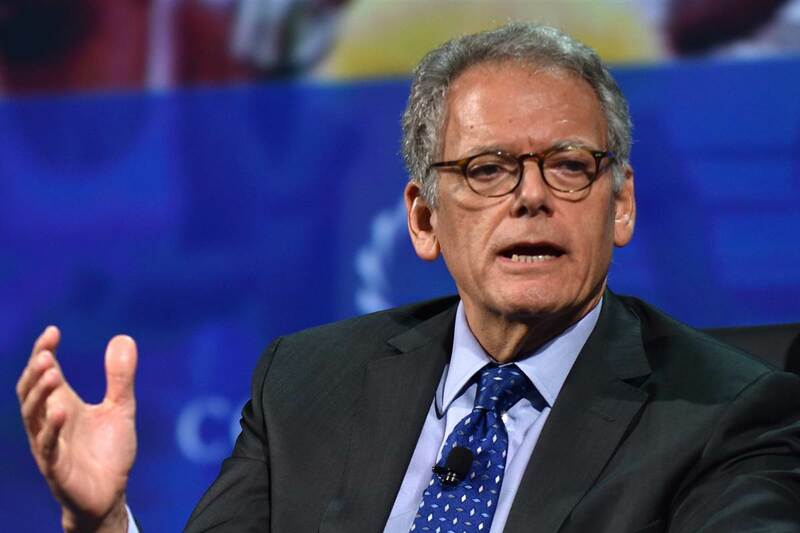 Veteran diplomat Jose Cabanas will be Cuba’s ambassador to the US. Fidel Castro has published an open letter to Cubans in which he makes no mention of the historic reopening of the US embassy in Havana. The former Cuban leader instead criticizes American foreign and economic policies since World War Two and accuses the US of owing Cuba millions of dollars. 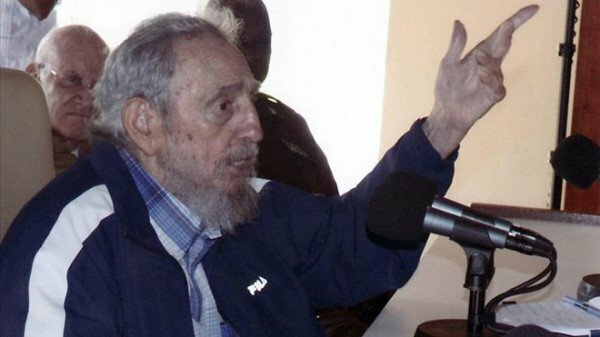 The letter was published to mark Fidel Castro’s 89th birthday. The US embassy will be reopened in Havana on August 14, with Secretary of State John Kerry attending. Fidel Castro said the US owed Cuba money because of the trade embargo the US imposed on the communist-run island in 1960. The letter says relations will only be fully restored once it is lifted. Three marines who lowered the American flag for the last time on January 4, 1961, will raise it again during Friday’s ceremony in Havana. They are now retired and in their late 70s. “I’m gonna love seeing that flag go back up,” said former marine Jim Tracy, 78, on a State Department video. 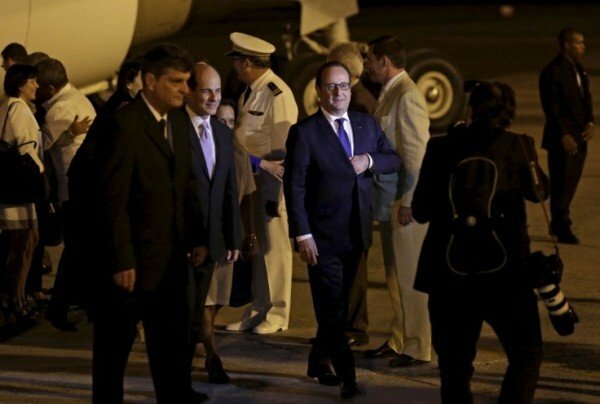 He passed on power to his younger brother, Raul Castro, who embarked on a number of economic reforms. 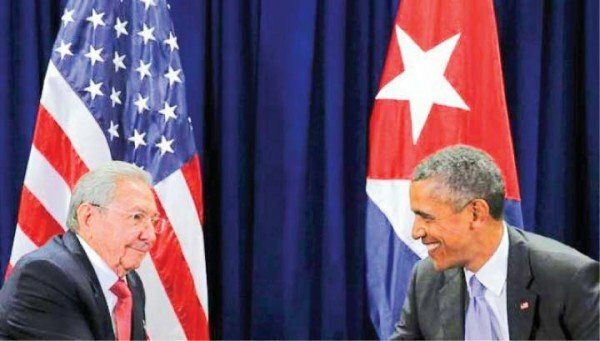 After Raul Castro and President Barack Obama announced in December that Cuba and the US had agreed to restore diplomatic relations, it took Fidel Castro more than a month to express lukewarm approval for the historic reconciliation. 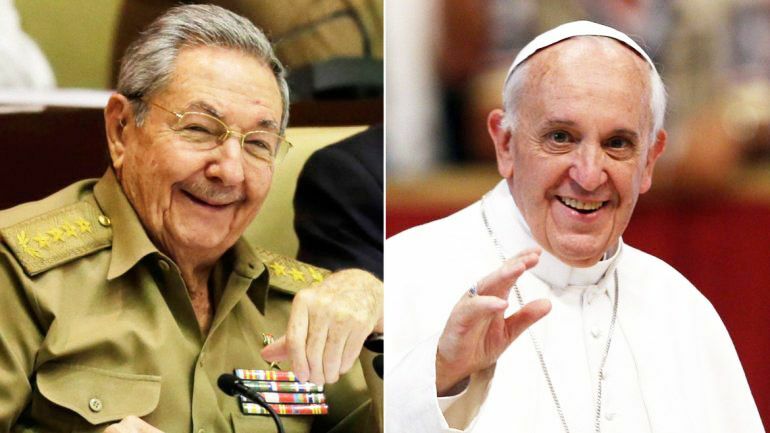 Cuban President Raul Castro will meet Pope Francis in a private audience at the Vatican. The Argentine Pope played a key role in a recent diplomatic rapprochement between the US and Cuba. 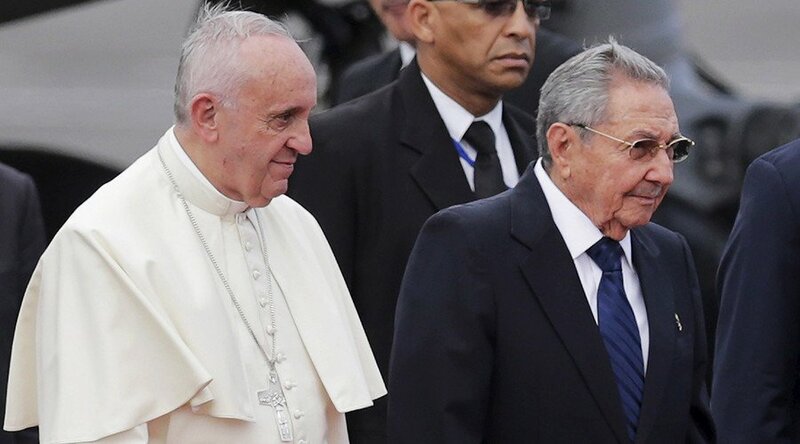 Raul Castro, who is stopping off as he returns from Russia’s WW2 Victory Day parade, wishes to thank Pope Francis for his help, Vatican radio says. The Roman Catholic Church has maintained relations with Cuba since the 1959 revolution. Pope Francis will visit Cuba on his way to the US in September. In 1996, Pope John Paul II became the first pontiff to receive a Cuban leader when Fidel Castro travelled to the Vatican. Raul Castro, the brother of Fidel, was last in Rome in 1997 when he was defense minister. At the time he was preparing the historic visit of John Paul II to Havana the following year. The Catholic Church has organized a series of secret diplomatic meetings to broker the US-Cuban rapprochement. The talks directly involved Pope Francis. The US had imposed a trade embargo soon after Cuba’s revolution, which it began to lift at the end of 2014. Pope Francis, 78, will be the third pontiff to travel to Cuba, following visits there by John Paul II in 1998 and Benedict XVI in 2012.